The FAQ below focuses on the original Packtite, which was subject to a voluntary recall by the manufacturer in December, 2013. More on the recall here — including what to do if you have a Packtite Original. To read about the newer, larger, more expensive and more powerful Packtite, available in the US and Canada, check out this FAQ. The Packtite is a little machine into which you can place packed or unpacked luggage, stuffed animals, shoes, “unwashable” clothing, and other items. 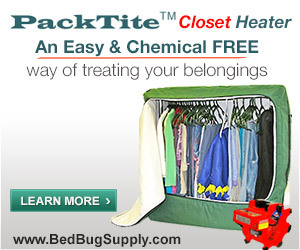 You leave your stuff in it for several hours while it heats up to kill bed bugs and eggs inside. You need to carefully follow the instructions and monitor the temperature at the core of your items, in order to make sure 120 F is attained throughout, and then leave the Packtite running for an hour after the temperature is reached. 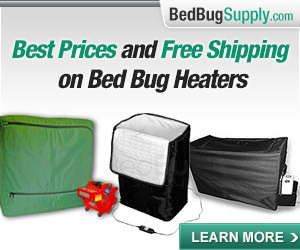 Although the unit was originally designed so that frequent travelers could heat their luggage to killing temperatures when they got home from a trip (in other words, for the purpose of preventing a bed bug infestation at home) people with bed bugs quickly saw the possibilities in terms of de-bugging items in the home. I can answer the plastic question, with our newly designed unit we tested cheap thin walled plastic bags to see if we would have any melting issues, these bags were tested by tying them directly to the metal frame inside and were positioned closest to the heat source- after 4 hours of heating we did not have any plastic melting issues. The inside of this unit reaches sauna like temperatures and is a good guide to use when considering what to put inside. We are currently including a digital thermometer with each Packtite so that the user can monitor temperatures of personal items placed in the unit to insure they reach killing temperatures. … we have a long list of specific safety instructions plus we are including a digitial thermometer with every unit so that our customers can track the heating process if they like. Each unit also has a timer so that it will shut off after 4 hours. The timer is an important safety feature. 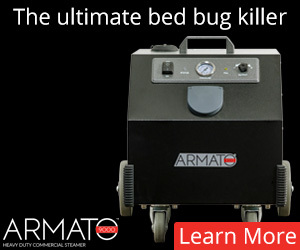 People began to use the machine to kill bed bugs and eggs in all kinds of stuff which was previously difficult for individuals to treat. I’ve treated a pretty wide variety of stuff: purses, books, shoes, mail I need to send to my roommate who is away at grad school, the footstool and removable seat of an armchair that lives in my bedroom, the carpet attachment to my vacuum, the wood-framed mirror that hung on a wall near my bed . . .
Adele tells us she baked a loosely packed box of papers. The master list idea would be nice, but I think there will be just too many variables and might discourage use of the included thermometer to monitor ones progress. We could say x number of hours for sweaters, but the type of sweater, the size of the sweater and how tightly folded etc the sweater was put in would effect treatment time. I would recommend running the thermometer into the center mass of what you are heating and once it hits 120 give it another hour just to be sure. 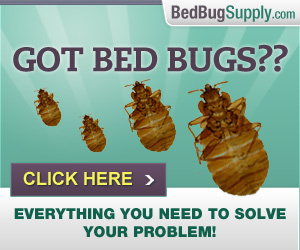 I love the different things you mentioned putting in the unit, who knew bed bugs could be into yoga? Packtite owners must use their own judgment. Remember you are baking an item at 120-140 F. Even items which can usually be safely treated (such as leather shoes) may suffer effects in time from repeated heat treatment. One has to use own’s own good judgment. … if you are worried about the outside of the unit being infested, you can remove the internal frame and put the canvas bag part in a dryer. Thinking back on a short time ago when people used to put sealed things in storage for up to 18 months rather than keep potentially-infested items in the home after treatment, this is really quite a revolutionary option. 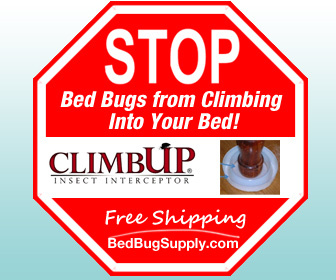 For people who are infested at work, or whose children are attending a school known to be infested, this may be a way of keeping bed bugs in clothing, backpacks and purses, from coming into the home. If you want to be sure your Packtite (or dryer, or other heating method) is reaching 120F in all areas, you can apply Thermaspot temperature sensors (also made by Packtite) in various areas. If the Thermaspot turns from white to black, the temperature was reached. Read more about Thermaspot here. Good news? As of September 2011, the Packtite is also available in a much larger size. The new Packtite Closet works faster and has a built in bar for hanging clothing. It is also available in Canada as well as the US. 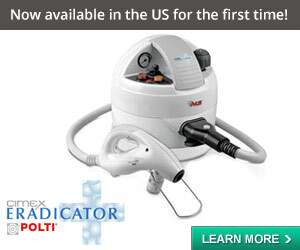 Click here to read more about the new larger, more powerful, more expensive Packtite model. 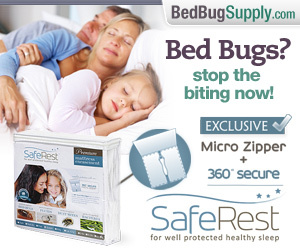 Note: Bedbugger has affiliate relationships with Bed Bug Supply. 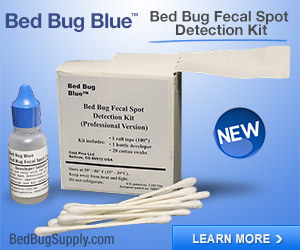 If you purchase through the links above or through banners for these firms on Bedbugger.com, part of the proceeds of your purchase go to help support the operating costs of this site, at no additional cost to you. Please see our Disclosure Policy. Please add any suggestions for this Packtite FAQ in the comments below. Thanks!!! Updated FAQ to add video with Jeff White discussing the Packtite and demonstrating its setup and use. 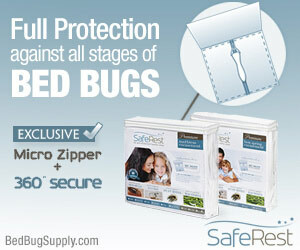 Question: What is the recommended method for keeping the OUTSIDE of the Packtite BB free? Thankfully I’ve been BB free for a year and a half or so* but my friend is now dealing with them, and it occurred to me to ask. I also thought it might be helpful to think about disinfe-s-ting the exterior of the device for the FAQs. 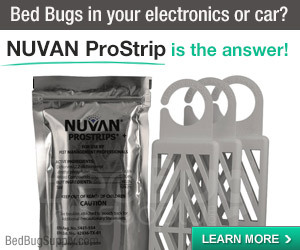 All I can think of is permethrin sprays and maybe additional isolation in a plastic container, but that could be dangerous and isn’t fool proof. Man I wish I’d had one of these when I was going through that hell. It’s a good question, and we covered it in the post above. 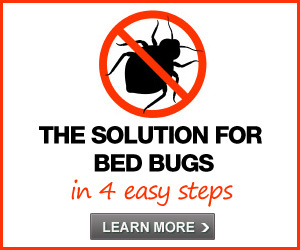 Look for the paragraph which begins “Of course, if you have an infestation of bed bugs…” and follow the link out to manufacturer David James’s forum post which explains the Packtite can be dissassembled, and the outside thrown in a dryer. 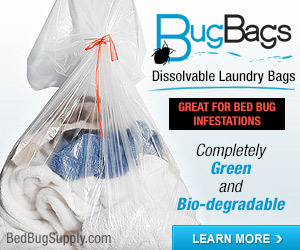 I just purchased a packtite through this site! I am moving on Monday 8/31, so I want to get everything heated and “sanitized”before I move into my new BB free home. I noticed the instructions say I must not let anything touch the heating unit. does that mean I have even less room to place stuff on the steel rack besides the 2 inch off limits side ends? A bit confused because the heating unit is adjacent to the rack and it is inevitable to have my stuff touching the unit if I place something on the rack. does this make sense to anybody? I bought a packtite a couple of weeks ago and so far, I’m very pleased with the product. I’m using it to de-bug most of my belongings before I move into a new bug-free apartment, and of course I won’t really know for quite some time if it was totally effective, but the peace of mind it’s offering so far is fantastic. I’ve got a load of stuff cooking right now! I couldn’t believe how huge this thing is and how much I can fit in it. It has been more or less running around the clock, since I’m moving this weekend (very sloooowly). I take the contents out of the packtite and put them straight into a clean huge space bag, which is promptly zipped. The unit is also incredibly quiet! It is set up in the bedroom and the fan makes the subtlest whirring sound that is no louder than a quiet window fan. I can easily sleep while it runs (and I only do that because the automatic timer that was included with it will turn it off even if I fall asleep). So far I’ve cooked about $600 worth of books, several photo albums (with photos still inside), shoes, blankets, plastic plants, stuffed animals, small or disassembled pieces of furniture, lamp shades, plastic clothes hangers, board games, magazines, pot holders, fabric drawer dividers, plastic/fabric hair stuff (elastics, clips, combs, brushes)…and lots more that I can’t think of. I’ve got queues of other items waiting to go into “the bug oven”: jackets, purses, backpacks, yarns and threads, (empty) suitcases, and anything else I think will bake safely. My fears over how hot the heat would be and whether things would be safe have faded. Depending on what is cooking and how densely it is packed, the temperature varies from about 127-145 F. For things like books (lots of books), the heat-up time can be near 2 hours. For lighter/airier/more porous stuff, like shoes or stuffed animals, it heated up in about 30 minutes. I cook everything for at LEAST one hour, usually much more. I set my stop watch and go about my other business, returning when enough time has elapsed. I was most nervous about the cheapy plastics, but my photo albums (where the photo touches the protective plastic) were fine, my fake plants were fine, and my Cranium board game insert seemed unaffected. I really think this product has saved me from having a complete meltdown from further property loss and financial expenses. I haven’t decided yet if I will keep it after I move, or sell it to any one of my many neighbors in the building who also have bed bugs. But I will probably hang onto it if I can as a long-term weapon! 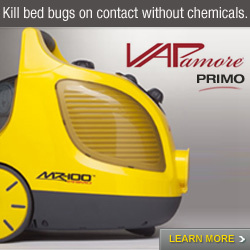 Hey, I decided to take a chance with my Dirt Devil handheld vacuum and put it in the Packtite. It worked fine after being in at 120 degrees F or higher for at least an hour. I’m no scientist, so I can’t tell if it killed any bugs/eggs that might have been inside…but it was in at allegedly lethal temps and worked fine afterwards. I’ve read that you’re not supposed to put electronics in the Packtite…have there been any actual tests on what happens? Glad that worked for you and thanks for letting us know! There have not been any official tests on whether (or which) electronics can be safely run through a Packtite. I am guessing the manufacturer can’t make any promises since he can’t test all possible electronic devices, so the safest answer is “no”. On the other hand some bedbuggers have claimed (in our forums) to have put other electronic devices through the Packtite. You may find more discussion of this there. Even if someone else claims it worked for them, it’s at your own risk, Your Mileage May Vary, etc. But in case you do experiment, the consensus is that putting batteries through is a definite no-no — remove them first if there are any on your device. 1 standard issue 18″ x 36″ wire shelf – retail about $30-40 (you might have a shelving unit in your home already that you could swipe one shelf from.) with 8″ legs so the shelf fits just over the heater. The container for the whole thing may be the only custom fabricated part of the whole thing, but I wouldn’t be surprised if you could find something similar out there. 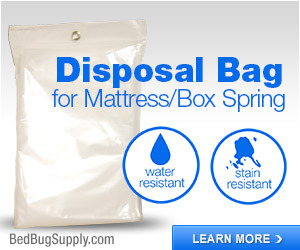 It’s basically a rectangular duffel bag with a plasticized inner coating. The base is 18 x 36″ (same as the shelf) and it’s about 22″ high. I found a duffel bag online for $24 that’s about the same size. The only other part is the wire framework that holds the bag up, and I think you could make something like that with thick wire and pliers pretty easily. So basically you’re looking at around $100 in parts. Any do-it-yourselfers want to try this before shelling out almost $300 to packtite, I would highly recommend it. By the way, I’m very happy so far with how the product works, though it is quite a bit slower of a process than I thought it would be. I just think the price they’re charging for it is a little ridiculous. 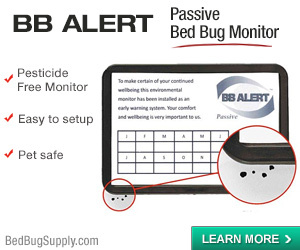 The paranoia that surrounds bed bugs definitely got me trigger happy on the credit card before I knew exactly what the product was. in the midst of this miserable, exhausting, disconcerting, emotional and expensive journey – who has the wherewithal to construct an effective de-bed bugger? besides the peace of mind i have from knowing this thing has been tested every which way, owning one allows me to call the makers directly with questions and concerns. Glad to hear you are happy with the way the product works. I do need to comment on your advice and parts list for do it yourselfers to construct their own. Your recommendation to build one yourself is ill advised, and I know how this sounds coming from me, the manufacturer, but it is true. With the parts list you mention and even if we were to provide the internal frame and outer shell, your do-it-yourself packtite would fail everytime. After about 20 minutes, the unit would overheat and shut itself off and could damage items inside and worse case start a fire. There is a reason it is in your words, “quite a bit slower of a process than I thought it would be.” The heater may look ordinary, but it is not. We tried to make an off the shelf work, because then we would not be fighting the ce and csa battle to get these into canada and europe, as we could have used the listing of an off the shelf unit. Comments good or bad about packtite are always welcome as we learn from both, but your recipe for making your own packtite would create something that is both dangerous and ineffective. Thanks again for this invention which so many people here have found useful. And thanks for clarifying exactly why a do-it-yourself Packtite won’t work. Squarecandy is not the first person to bring up the idea, and it is helpful to know how your components differ from similar over-the-counter ones.